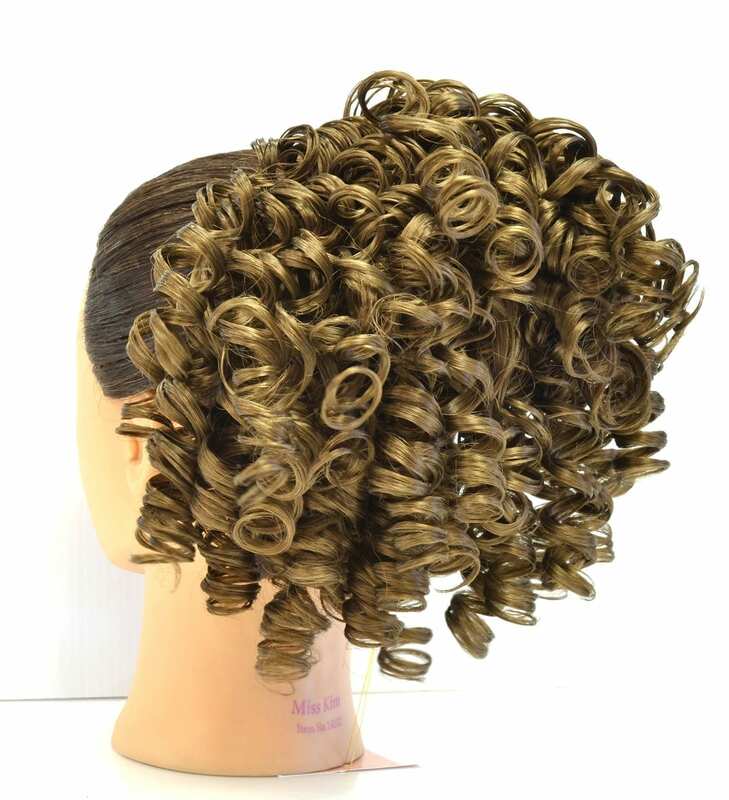 This drawstring hairpiece has small french-style curls. 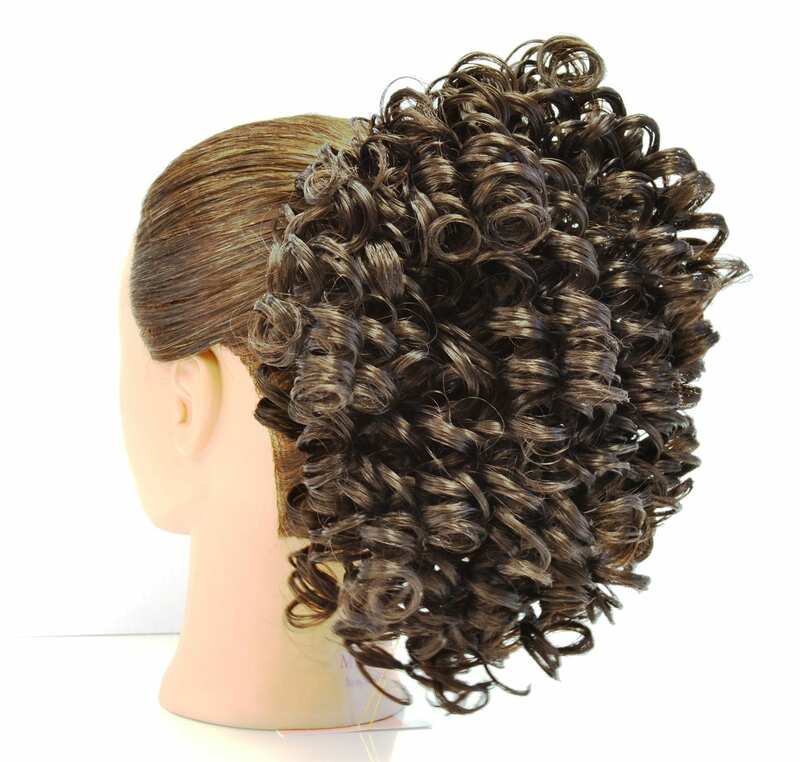 Attach this hair piece to your existing hair for a completely fresh look! First put your hair in a ponytail or bun on the top of your head. Then slide the comb over your ponytail so you cannot see your own hair. Last slide the bottom comb up into your hair and pull the drawstring for a natural secure fit. Perfect for any cheer and dance competition.